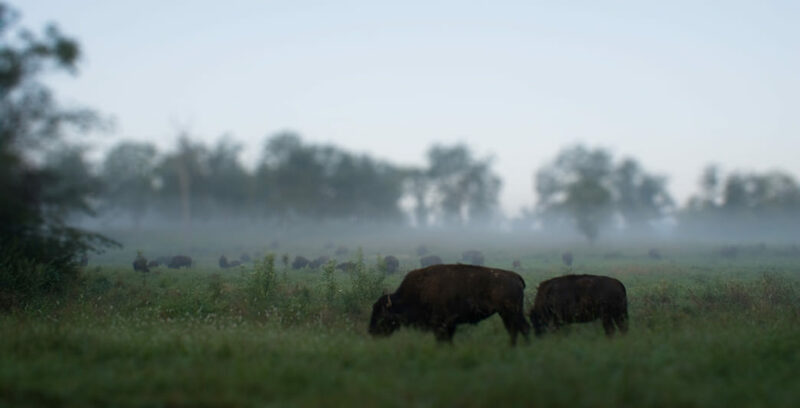 Fenton Campground is your launching point for adventures in Land Between the Lakes National Recreation Area—and is just down the road from the Elk & Bison Prairie. Fenton Campground provides amazing access to explore all that Kentucky’s Land Between the Lakes has to offer. Open year-round, though late fall offers great temperatures, fall colors, and unique wildlife viewing opportunities. The Land Between the Lakes (LBL) is America’s largest inland peninsula. Once home to Kentucky’s most rugged and independent characters—and an inordinate number of moonshine stills—this region is now a premier destination for boating, hiking, fishing, and observing some of the region’s ecology and original animal inhabitants. When the Tennessee Valley Authority took control and built two dams, Lake Kentucky and Lake Barkley were formed. In the years since, LBL has been named a United Nations Biosphere Reserve and has become a hotspot for recreation in Kentucky. The Fenton Campground is the best base camp for adventures in LBL. The self-serve Fenton Campground has drinking water, bathrooms, dumpsters, and tent pads—and easy access to all that LBL has to offer. 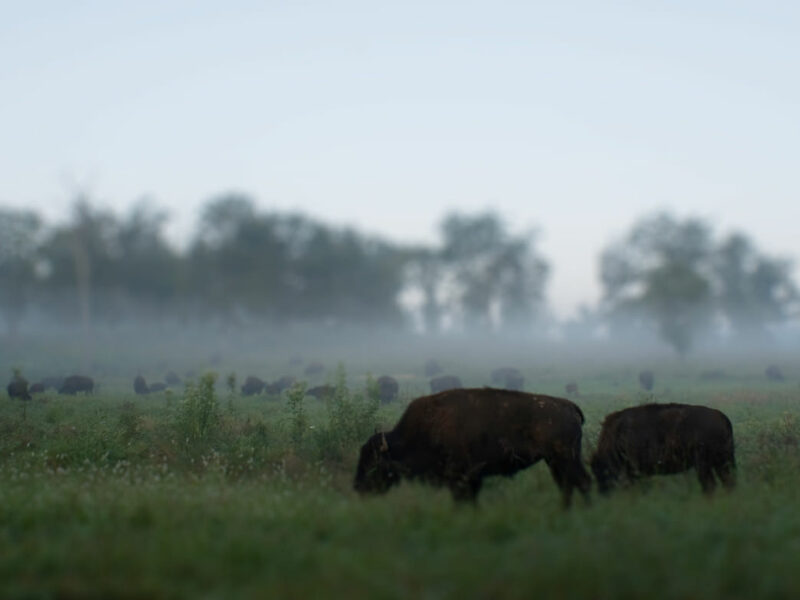 Just ten minutes from the campground, the Elk & Bison Prairie gives visitors a sense of what Kentucky’s grasslands were like before European settlers came to the area. A 3.5-mile loop drive allows visitors to observe the elk, bison, and countless native birds. Fall marks the rut season. Plan an autumn trip to hear the elk bugling. During the winter, elk gain their winter coats. The lack of foliage on the trees makes it easier than ever to get a glimpse of these charismatic megafauna. Just up the road from the prairie, visitors can hike sections of the North-South Trail, a 65-mile hiking trail that hugs the many inlets of the lakes and traverses the inland areas of the peninsula. Rolling hills, stream crossings, and the remnants of human settlements all make this trail a worthwhile exploratory mission. From the campground itself, visitors can launch a boat into Kentucky Lake and enjoy some of the country's best croppie fishing. If fishing doesn't interest you, Kentucky Lake’s countless inlets offer countless hours of adventure opportunities. Base camping at Fenton puts more than a weekend’s worth of activities right at your front door. In addition to the North-South Trail, Fenton offers access to the Central Hardwoods Scenic Trail, great for hiking and biking, and is just down the road from the Golden Pond Planetarium. It’s also known locally as the best campground to watch LBL’s Fourth of July Fireworks. This campground is ideal for families looking to escape the daily grind and those looking to launch a weekend (or more) of adventure in the Bluegrass State. Fenton Self-Service Campground is right off US-68 W, which bisects LBL. In order to prevent the spread of invasive insects and diseases, the US Forest Service asks visitors to LBL to buy or gather firewood locally rather than bringing it from home. You can purchase firewood (and a number of other camping basics) at LBL’s Outpost Supply Centers and Piney, Hillman Ferry, and Wranglers Campgrounds, as well as at Energy Campground.